These were made with local ’Methley’ plums, a Japanese variety. I hope they taste as beautiful as they look in the jars – the deep red flesh of the plums floating in the pink pickling juice. Alas, we have to wait a week before we find out. As my obsession with preserving continues, my patience improves. Adapted from Nigella Lawson’s How To Be a Domestic Goddess. Simmer all ingredients except for the plums for 15 minutes. Pack plum halves into sterilized jars, allowing two inches of head space at the top of each jar. Pour pickling liquid over the plums covering them and allowing a 1/2 inch of head space. Evenly distribute the spices between the two jars. Tap the jars to make certain there are no air bubbles. Seal the jars and store in a cool, dark place for at least week. Refrigerate after opening. Thats not just logic. Thats really senslibe. Question. Did you can these or are they fine as is at room temp. 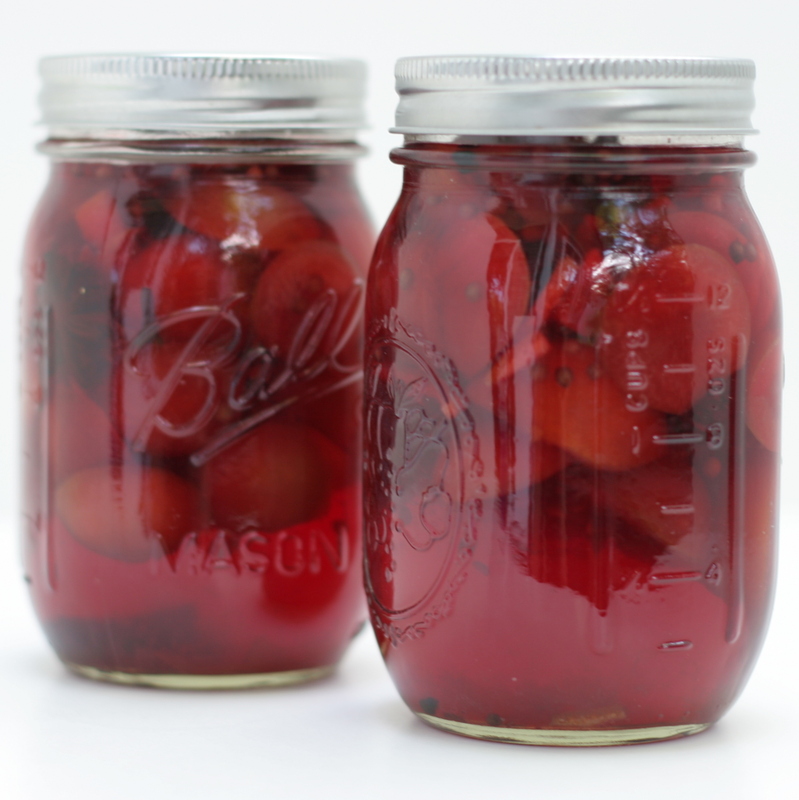 Trying several pickled plum recipes and the others all call for canning or refrigeration. Also wondering if you didn’t can how long these would keep. Thanks! Brian, I can them and they turn out just fine.